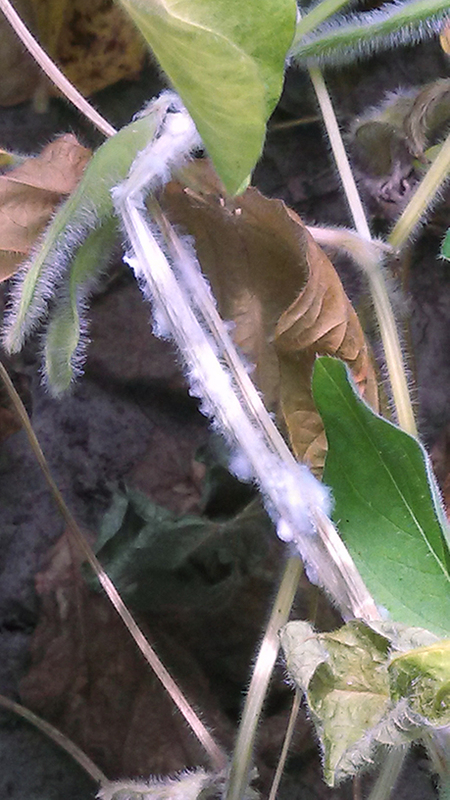 This past week we found the first rust pustules of the season which means that rust spores are in the area. Carefully monitor your corn fields for rust as the season goes on, especially those fields with sensitive or less resistant hybrids. Start planning ahead to tasseling which for some may be right around the corner, with as wet a year this has been we should expect higher than average foliar fungus pressure this year so consider an application of a fungicide at Tasseling and R1 in the corn this season. 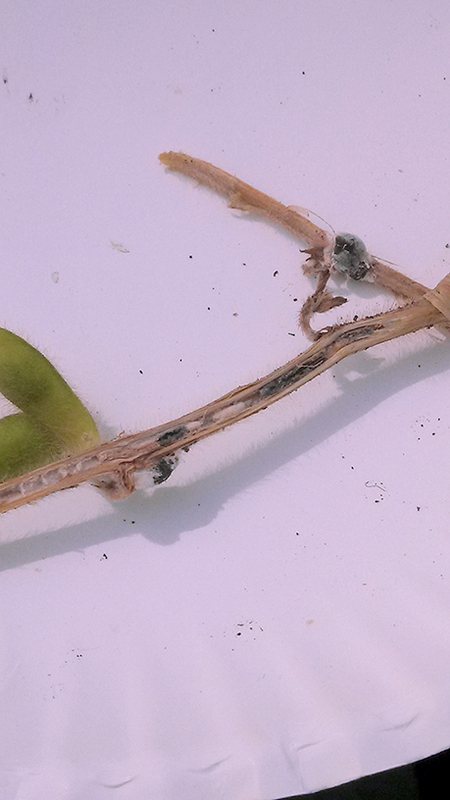 We are finding low levels of brown spot of soybean in a few fields across the area. 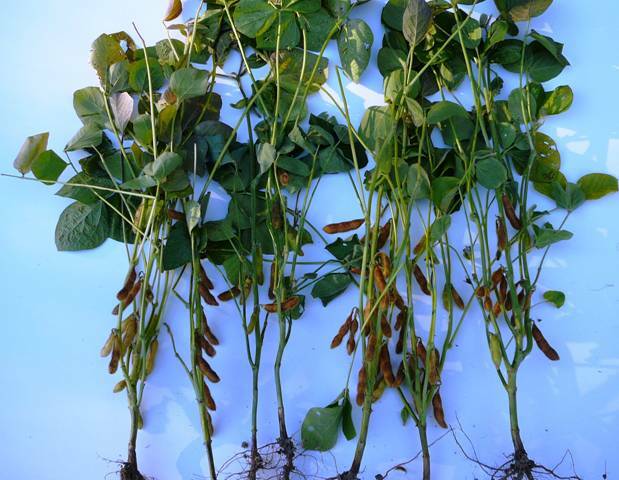 Soybeans are growing rapidly at this stage. 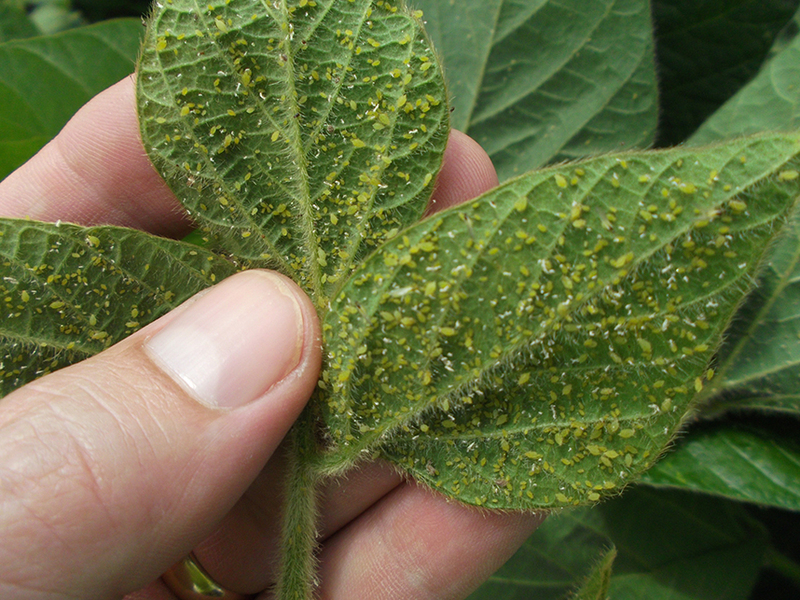 We are finding soybean aphids in most fields this year. With these levels of aphids this early in the season, combined with the favorable aphid weather we have been having it is very likely that control will be needed in many of the fields in our area this year. 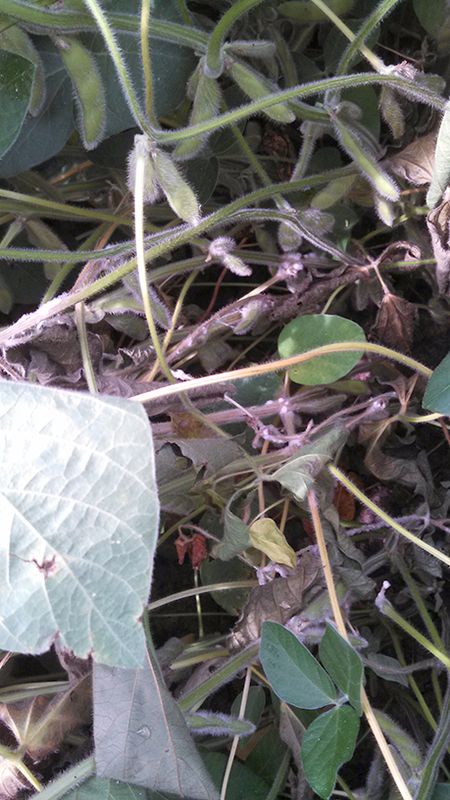 Late blight was found in south central Portage county today. This point of infection is 20 miles north and east from the original infection site. 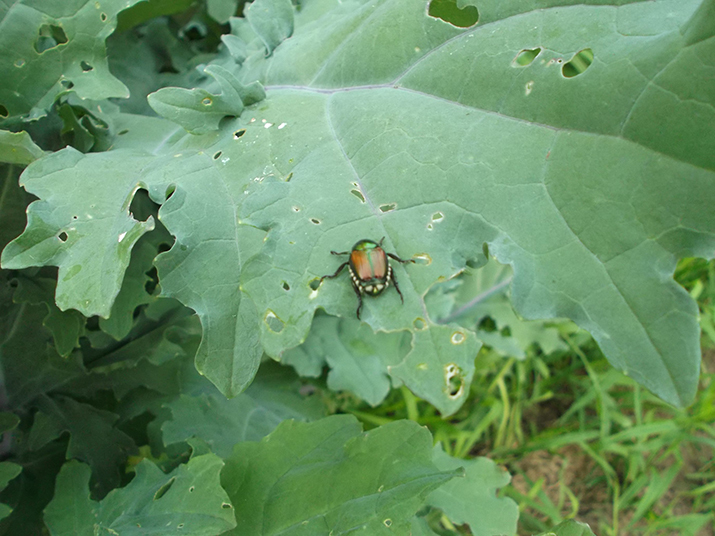 In most of the fields in our area we have the Colorado Potato Beetles under control at this point with just trace levels left in most fields. 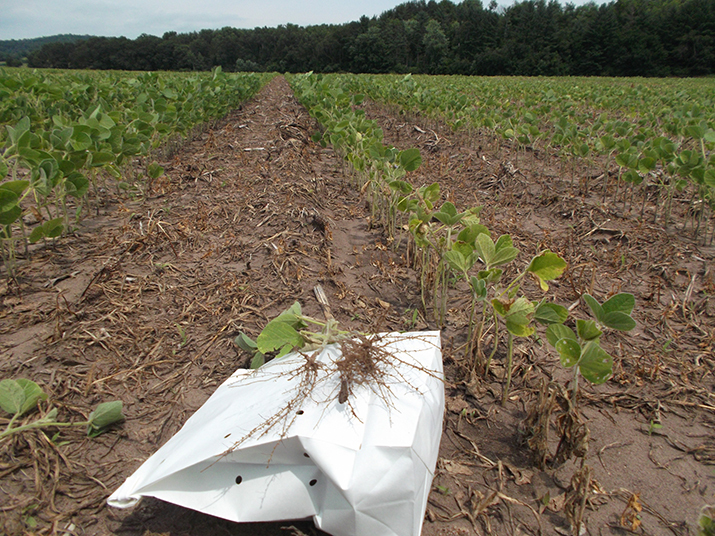 Early blight continues to remain in check on the lower canopy in fields that are receiving regular fungicide applications. 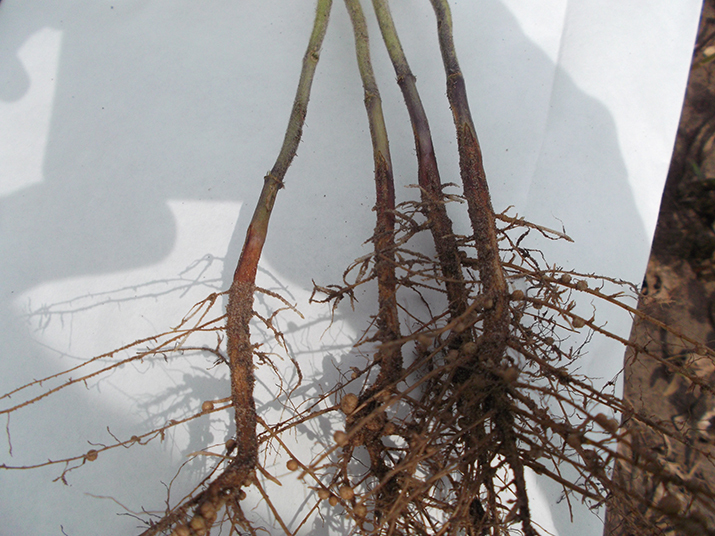 Also we are just starting to find bacterial vine rot in some of the more sensitive varieties.